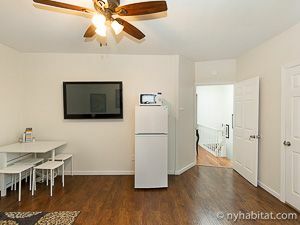 This is our reference NY-16751 New York&rsquo;s next hot borough is Queens &ndash; get to know the Ozone Park neighborhood with this two bedroom apartment at 103rd Ave &amp; 93 Street. 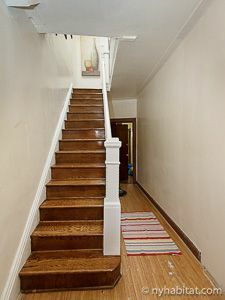 The fully furnished rental can be found on the second and last floor (the first floor to Europeans) of a townhouse dating from the 1920s. The 210 ft2 (19.5 m2) living room has all the comforts of home: a comfy sofa (doubling as a queen bed), a dining table and a cable TV for entertainment. 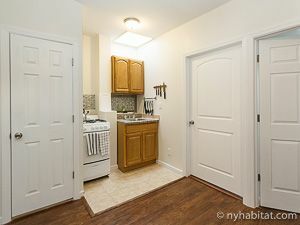 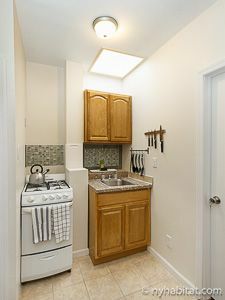 The kitchen is also ready for you to move in, with essentials like an oven, fridge, and microwave. 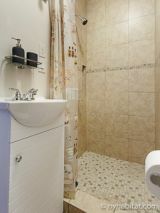 Two bedrooms are available, the first measuring 128 ft2 11.9 m2) with a queen bed and the other 100 ft2 (9.3 m2) with a double bed. 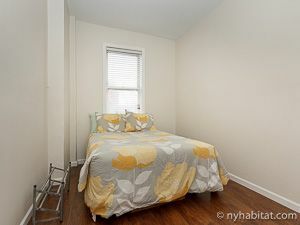 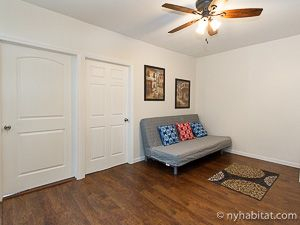 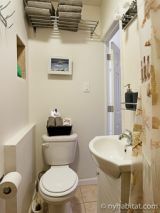 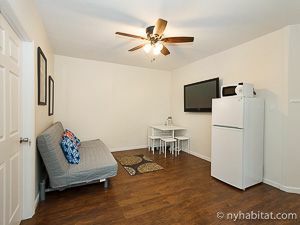 Both rooms have air conditioning to keep you cool during hot NYC summers. 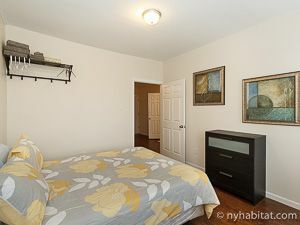 A primarily residential neighborhood close to Jamaica Bay and the John F. Kennedy Airport, Ozone Park provides suburban calm while being easily accessible from the subway.